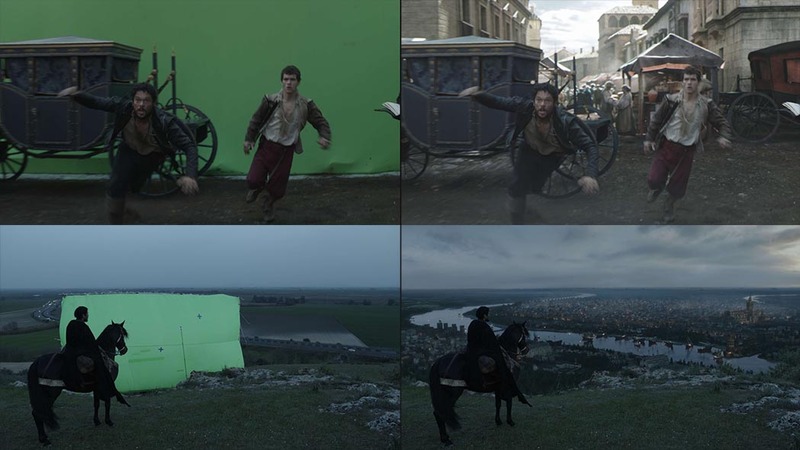 Madrid-based VFX studio Twin Pines delivered Visual Effects for TV series “The Plague”. Twin Pines reconstructs 16th-century Seville for ‘The Plague’ is the creative force behind the visual effects for the successful TV series La Peste (The Plague), a Spanish superproduction by Movistar+ which broke viewing records and saw one-in-five binge watch the series in a matter of days, selling rights all over the world and clocking in as the costliest TV series ever made in Spain. A team of 35 VFX artists created over 500 shots over a period of ten months for this story set in 16th-century Seville. The biggest challenge was digitally recreating the city of Seville of the period with the same historical seriousness as a history documentary. To this end, throughout the production process it worked alongside a whole series of historical advisors, documentary makers and an art director for VFX. The exhaustive development of visual layers and the creation of 3D elements by computer relied heavily on maps, etchings and paintings from the period. Twin Pines started working on the project a long time before shooting actually begun. First of all, there was an initial phase of contextualisation, which was then followed by execution, and this took up to ten months of work. “One of the biggest technical problems we came across was that, unlike other productions we had done before, we didn’t work in fields but in different sets in which the cameras moved freely in 360 degrees. Using immersive techniques, we had to insert the computer-generated elements”, recalled Nogales. At the same time, a large part of the buildings and monuments that feature in the series are not actually from Seville. What the team did was to use similar buildings as references, many of which were photographed and rebuilt in 3D, like the cathedral, the city walls, the poor quarters, the city gates and St George’s Castle. Nowadays these buildings or areas are completely different or the still existing monuments are now surrounded by a different landscape. Juanma Nogales is taking part in a talk on FMX on Wednesday 25 April at 17:00, precisely to talk about the use of Nuke Studio in The Plague, as part of the most important symposium on digital visual arts in Europe, held annually in Stuttgart (Germany). With a budget of 10 million euros, around 200 actors, over 2,000 extras and 400 technical experts were involved in this superproduction. The Plague was the first TV series included in the official section of an A-list international film festival, as was the case in the San Sebastián Festival. With a January 12 premiere, the show became the best premiere of a series in Movistar+ in 2018. The Spanish telco recently launched a drama channel across Latin America called Movistar Series, with 12 original series to debut throughout 2018, including The Plague.